San Fermin Festival is an annual festival that takes place in Pamplona, Spain. 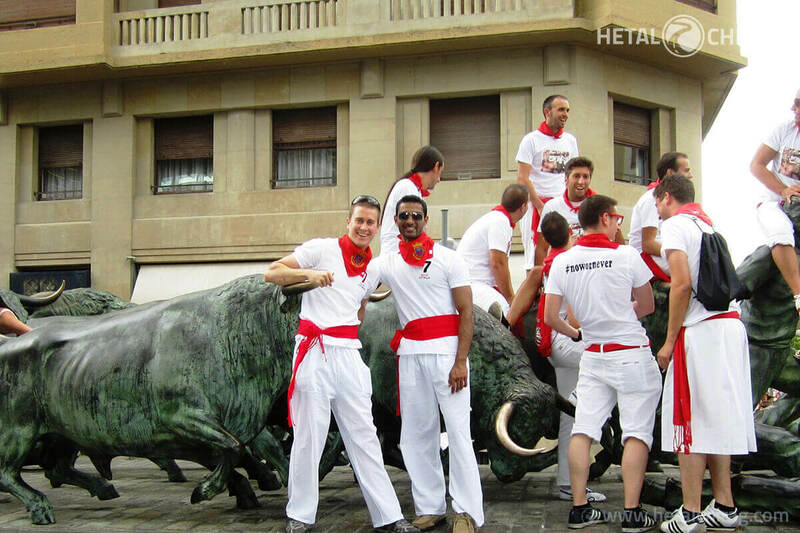 It is widely popular across the globe for the running of bulls’ event called The Encierro. This festival is a week-long celebration organised in the month of July every year. The running of the bulls starts from corral in Calle Santo Domingo when the clock on church of San Cernin strikes 8 o’clock bell in the morning. After launch of two warning rockets the bulls are lead through the streets of old quarter. The bulls and all the runners enter a big stadium known as the bull ring after a quick three to four minutes run of around 825 meters. For those who do not wish to run with the bulls early in the morning or watch bullfighting events in the afternoon, there are a number of street parties, parades and local pubs that are a lot of fun to attend.